If you check out any popular health fitness blog in today’s day and age you will them replete with article and guides on how to maintain a healthy heart. One of the most popular misconception about heart problems is that they only affect people of a certain age and young people are immune. Heart problems can affect people across age groups, and combined with the rise in sedentary lifestyles across the world, it is something which you must take seriously regardless of your age and gender. Maintaining heart health is also essential from keeping away from a variety of other diseases, which are interlinked like Diabetes. In this blog we will discuss about 10 warning signs that your heart is not working properly. 1. Chest and heartburn: Heart and chest burns are one of the surest signs of a heart condition, especially if you have them frequently and during periods of inactivity where you are not straining your body. If you have recurrent pain and a burning sensation anywhere in your chest area, consult a cardiologist immediately. 2. Lightheadedness: Lightheadedness can arise due to multiple conditions and even common flus and viruses, but if you are experiencing them frequent and for no apparent reason like extended periods of physical activity then you must consult a heart specialist. 3. Anxiety and subsequent induced stress: If you are experiencing high levels of anxiety which is uncommon, then it could be a sign of an underlying heart condition. Anxiety can also arise due to other factors, but it’s best to consult a physician if you have abnormal levels of it frequently. 4. Poor appetite and Nausea: Poor appetite and nausea can also be a symptom of an unhealthy heart. Since the heart is primarily to your overall cardiovascular health it can affect your liver which is responsible for producing Glucose. Visit a cardio specialist if you exhibit these symptoms. 5. Pale and bluish skin: Your heart is responsible for maintaining proper blood circulation across your body, and if you have a heart issue, it can directly affect your blood circulation which manifests itself in the form of unusually pale and bluish skin. 6. Excessive fatigues: If you have been experiencing unnatural levels of fatigue lately then it could be a symptom of a heart problem. If you feel exhausted after doing daily tasks which require minimal to moderate effort, get yourself checked immediately. 7. Excessive perspiration: If your heart is functioning at an abnormally high rate, you will experience unusual sweating, which might even occur during rest. If that’s the case, then you should immediately visit a cardio specialist. 8. Skins spots and rashes: Skins spots and rashing can arise due to a number of clinical conditions ranging from Eczema, or excessive dry skin and even to even Cancer. It can also be a symptom of a heart condition and patients with Eczema have been shown to be at a 50% higher risk of heart diseases. 9. Inflammation and swelling: Irregular blood circulatory function which is linked to heart diseases, can cause inflammation across the body. If you have unusual swelling in your feet or ankles, it’s advisable to undergo tests for heart diseases. 10. 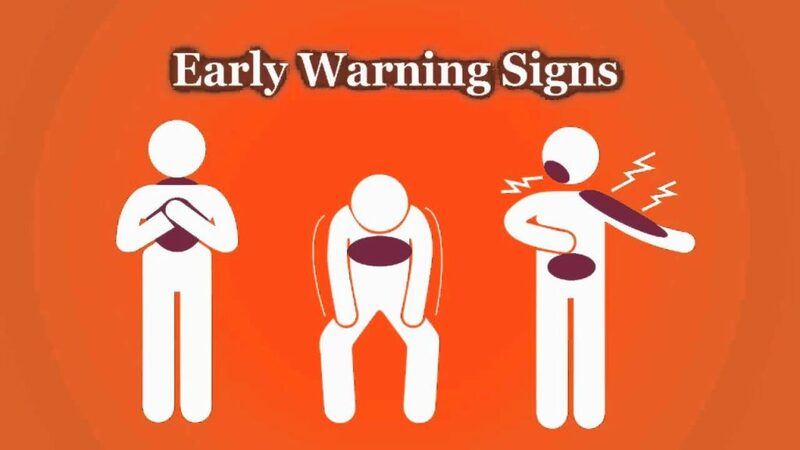 Regular cough: Heart function is also directly linked to Lungs and if you are coughing unusually yellow or brownish colored mucus without any flu or virus it can be due to an ill functioning heart. Coughing blood requires immediate, professional medical diagnoses. We have told you briefly about the 10 warning signs your heart is not functioning properly. We hope this blog will inspire you to pay more attention to your heart health as the rates of heart disorders are rising astronomically around the world. Have an amazing day!